1. The Investigation and Treatment of Couples with Recurrent First trimester and Second-trimester Miscarriage. Green-top Guideline, 17 April: 2011- 18. 2. Early pregnancy loss. Practice Bulletin, 150. American College of Obstetricians and Gynecologists. Obstet Gynecol 2015; 125: 1258–67. 3. Kling C, Hedderich J, Kabelitz D. Fertility after recurrent miscarriages: results of an observational cohort study. Arch Gynecol Obstet. 2018; 297(1): 205–219. 4. Recurrent pregnancy loss. Guideline of the European Society of Human Reproduction and Embryology (ESHRE). 154p. https://www.eshre. eu/Guidelines-and-Legal/Guidelines/Recurrentpregnancy-loss.aspx. 5. Carp HJ. Progestogens in the prevention of miscarriage. Horm Mol Biol Clin Investig. 2016 Aug 1; 27(2): 55-62. 6. Kumar A. et al. Oral dydrogesterone treatment during early pregnancy to prevent recurrent pregnancy loss and its role in modulation of cytokine production: a double-blind, randomized, parallel, placebo-controlled trial Fertility and Sterility 2014; 5: 0015-0282. 7. Coomarasamy A1 et al. A Randomized Trial of Progesterone in Women with Recurrent Miscarriages (PROMISE). N Engl J Med. 2015 Nov 26; 373(22): 2141–8. 8. Toth B, Würfel W, Bohlmann M et al. Recurrent Miscarriage: Diagnostic and Therapeutic Procedures. Guideline of the DGGG, OEGGG and SGGG (S2k-Level, AWMF Registry Number 015/050). Geburtsh Frauenheilk 2018; 78: 364–381. 9. Daya S. Effi cacy of progesterone support for pregnancy in women with recurrent miscarriage. A meta-analysis of controlled trials. S. Daya. Br. J. Obstet. Gynaecol. 1989. 96, 3: 275-280. 10. Oates-Whitehead R.M. Progestogen for preventing miscarriage. R.M. Oates-Whitehead [et al.]. The Cochrane Database of Systematic Reviews: Reviews [Электронный ресурс]. [Б. м. ]: John Wiley & Sons Ltd., 2007. DOI: 10.1002/14651858. CD003511. Электрон. опт. диск (CD ROM). 11. Carp HJA. Hormones, cytokines and fetal anomalies in habitual abortion. H.J.A. Carp, A. Torchinsky, A. Fein. Gynecol. Endocrinol. 2001. 15, 6. 472-483. 12. Roberts CP. Endocrinopathies associated with recurrent pregnancy loss. C.P. Roberts, A.A. Murphy. Semin. Reprod. Med. 2000. 18, 4. 357- 362. 13. Arredondo F. Endocrinology of recurrent pregnancy loss. F. Arredondo, L.S. Noble. Semin. Reprod. Med. 2006. 24, 1. 33-39. 14. Nardo LG. Progesterone supplementation to prevent recurrent miscarriage and to reduce implantation failure in assisted reproduction cycles. L.G. Nardo, H.N. Sallam. Reprod. Biomed. Online. 2006. 13, 1. 47-57. 15. The endometrium. Editors: S.R Glasser, J.D. Aplin, L.C. Giudice. Taylor&Francis, 2002, 675 p.
16. Gruber C.J. The role of dydrogesterone in recurrent (habitual) abortion. C.J. Gruber, J.C. Huber. J. Steroid. Biochem. Mol. Biol. 2005. 97, 5. 426-430. 17. Сотникова, Н.Ю. Цитокиновый профиль женщин с угрозой невынашивания беременности и его модуляция препаратом дюфастон / Н.Ю. Сот никова, Л.В. Посисеева, Ю.С. Анциферова // Журнал акушерства и женских болезней. – 2006. – №2. – С. 42-46. 18. Walch K. Oral dydrogesterone treatment during the fi rst trimester of pregnancy: the prevention of miscarriage study (PROMIS). A double-blind, prospectively randomized, placebo-controlled, parallel group trial. K. Walch, L. Hefl er, F. Nagele. J. Matern. Fetal. Neonatal Med. 2005. 18, 4. 265-269. 19. Raghupathy R. Modulation of cytokine produc tion by dydrogesterone in lymphocytes from women with recurrent miscarriage. R. Raghupathy, E. Al Mutawa, M. Makhseed. BJOG. 2005. 112, 8. 1096-1101. 20. Mirza FG, Patki A, Pexman-Fieth C. Dydrogesterone use in early pregnancy. Gynecol Endocrinol. 2016; 32(2): 97–106. 21. Carp HJ. Progestogens in the prevention of miscarriage. Horm Mol Biol Clin Investig. 2016 Aug 1; 27(2): 55–62. 22. Schindler AE. Progestational eff ects of dydrogesterone in vitro, in vivo and on the human endometrium. Maturitas. 2009 Dec; 65 Suppl 1: 3–11. 23. Инструкция по медицинскому применению лекарственного препарата Дюфастон® от 26.07.2017. 24. Шестакова И.Г. Подготовка к беременности пациенток с эндометриозом // StatusPraesens. – М.: Изд-во журнала StatusPraesens, 2014. – №1 . – С. 65–72. 25. Carp HJ. Progestogens in the prevention of miscarriage. Horm Mol Biol Clin Investig. 2016 Aug 1; 27(2): 55–62. 26. Lee HJ, Park TC, Kim HJ et al. The Infl uence of Oral Dydrogesterone and Vaginal Progesterone on Threatened Abortion: A Systematic Review and Meta-Analysis. BioMed Research International. Vol. 2017, Article ID 3616875, 10 pp. doi. org/10.1155/2017/3616875. 27. Carp H. A systematic review of dydrogesterone for the treatment of recurrent miscarriage. Gynecol. Endocrinol. 2015. 31. 6. 422–430 [PMID:13042138]. 28. Saccone G, Schoen C, Franasiak JM et al. Supplemen tation with progestogens in the fi rst trimester of pregnancy to prevent miscarriage in women with unexplained recurrent miscarriage: a systematic review and meta-analysis of randomized, controlled trials. Fertil. Steril. 2017. 107. 2. 430–438 [PMID: 27887710]. 29. Сухих Г.Т., Баранов И.И., Мельниченко Г.А., Башмакова Н.В., Блокилл К., Гризингер Г., Ломакина А.А., Пексман-Фейз К. Lotus I: Рандомизированное III фазы контролируемое исследование сравнения пероральной формы дидрогестерона и вагинальной формы микронизированного прогестерона для поддержки лютеиновой фазы в циклах экстракорпорального оплодотворения, фокус на субанализ российской популяции. Акушерство и гинекология. 2017; 7: 75–95. 30. H. J. A. Carp (2018): Progestogens and pregnancy loss, Climacteric, DOI: 10.1080/13697137.2018.1436166. 31. Schindler AE, Carp H, Druckmann R, Genazzani AR, Huber J, Pasqualini J, Schweppe KW, Sze-keresBartho J. European Progestin Club Guidelines for prevention and treatment of threatened or recurrent (habitual) miscarriage with progestogens. Gynecol Endocrinol. 2015; 15: 1–3. 32. Griesinger G, Blockeel C, Tournaye H. Oral dydrogesterone for luteal phase sup-port in fresh in vitro fertilization cycles: a new standard? Fertility and Sterility®. 109, 5, May 2018, 756–762. 33. Zaqout M, Aslem E, Abuqamar M, Abughazza O, Panzer J, de Wolf D. The impact of oral intake of dydrogesterone on fetal heart development during early pregnancy. Pediatr Cardiol 2015; 36: 1483–8. 34. Н.К. 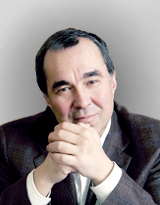 Тетруашвили, А.А. Агаджанова. Ведение пациенток с одно- и многоплодной беременностью и привычным выкидышем в анамнезе // Акушерство и гинекология: новости, мнения, обучение. 2018. № 2. С. 52–57. 35. Tournaye H, Sukhikh GT, Kahler E, Griesinger G. A Phase III randomized controlled trial comparing the effi cacy, safety and tolerability of oral dydrogesterone versus micronized vaginal progesterone for luteal support in in vitro fertilization. Hum Reprod 2017; 32(5): 1019–27.